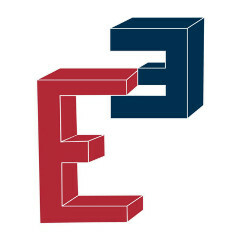 E-Cubed (Explore, Engage, Empower) is a brand-new job placement project, focused on personalized services that take into account students’ needs, to support the development and growth of their potential in the transition process from university to employment. E-Cubed is jointly designed and developed by the IMT School for Advanced Studies Lucca and Scuola Superiore Sant'Anna and the within the framework of the POR FSE 2014 – 2020 Program, funded by the Region of Tuscany. Dowload the full list of Ongoing Activities. Students of undergraduate, Master’s and PhD programs at the Scuola Superiore Sant'Anna, PhD students at the IMT School, alumni of both Schools up to two years after the completion of their degree. E-Cubed represents the first attempt of the two Schools to integrate a structured career-planning path within the students’ education. the direct knowledge of the internal structures of actual companies through on field experiences and direct testimonials. To explore, to look around, to get to know - first of all - oneself. Explore is the guidance and personalized advice path in which you will be assisted by career counseling experts. Individual 40-minute (at a minimum) counseling interviews are available to define a personalized job placement Plan. Each participant, according to their profile, strengths and motivations, will develop their own Plan of activities and initiatives, drawing from the project offerings. This Plan is the basis for the construction of a training-professional project. Book your individual interview with the expert, Ornella Bucci PhD at ornella.bucci@imtlucca.it. To be interested, captivated, involved. The guidance course will be accompanied by the Coach Mentoring service conducted by professionals chosen ad hoc, who will lead assessments and training activities for the development of skills that are particularly important towards sustaining employability, such as leadership, entrepreneurship, the ability to generate new ideas, creativity, and off-site and company meetings. The "Career Mentoring" meetings favor contacts with alumni of the two Schools involved in various fields of work to provide a range as representative as possible of the professional prospects available at the end of the educational path. Alumni with both long-term professional experience (preferably with diversified career paths) and junior profiles (who can describe their recent job search experience and placement in the workplace) will be involved. Most of the meetings are scheduled for November 2018, to be carried out with two-day sessions, preferably over the weekend, to allow greater participation and availability both by alumni and participants. The "Career Mentoring" meetings are not meant to be business presentations, but informal moments of exchange and personal interaction in which the representatives of the working world (Mentors) establish a relationship, that is meant to be both emotional and experiential, with the participants to transmit through their own professional stories, technical information, and practical hints and tips. This will be the phase of the second "E" of "Engage your mind" dedicated to the direct involvement of each participant in the project. To stimulate, to spur, to enhance. This phase is characterized by a "catalogue" of initiatives and services that each participant, on the basis of their path and the insight gained in the two previous activities, will be able to choose and follow according to their short- and/or long-term needs, expectations and interests. The proposed activities aim to provide information and highly sought after training elements together with expendable skills. The formats are varied, the methods adopted range from frontal teaching to mock interviews, assessments, offsite activities and field trips; to provide each student with a complete and useful kit to face the delicate phase of research and job placement. Research as a profession: training modules, meetings and seminars on professional perspectives related to the valorization of research, technology transfer, patents, spin-offs, entrepreneurship (in collaboration with JoTTO), and specific modules on the topics of communication/scientific dissemination, publishing in international journals, reporting techniques and presentation of results. Skills for the new productive and organizational paradigms: training related to the refining of the skills required by the new "Industry 4.0" market. Boost your career: a structured employment orientation path, designed with specific reference to the dynamics that often affect the candidate/company relationship for all professional profiles. It is divided into 3 phases: 1. Definition of the professional objective through the competence assessment, the establishment of the career plan and the revision of the main instruments for the application (CV and letter of presentation). 2. Analysis of soft skills and use of the main web-based tools for job search and self-promotion (LinkedIn, social media). 3. Optimization of communication tools to make the various opportunities for meetings (career days, interviews, networking) effective means of communicating their value. Learning from leaders: a project that, starting from the need to create a bridge between the university and the job market, creates qualified opportunities for contact and interaction with the business world and professions in a new way, especially designed for the Placement services targets of the two Schools. Unlike the usual meetings with experts and professionals at universities, in this initiative participants will go on site and meet top managers of excellent organizations to directly compare and draw inspiration from those who successfully and passionately carry out leadership roles through a broad overview of the different working contexts and corporate cultures. JOBFair, the first job meeting of the Italian Schools of excellence. The event was established in 2014 as an initiative of the Placement Service of the Scuola Superiore Sant'Anna, with the aim of creating a link between the academic world and companies to develop talent. On October 24th and 25th 2018, the 5th edition will take place in Pisa with the participation of students from all the Italian Schools of excellence (Scuola Superiore Sant'Anna, IMT School for Advanced Studies Lucca, Scuola Normale Superiore, IUSS Pavia, SISSA Trieste and Gran Sasso Science Institute), a unique event with increasingly notable relevance within the national scene of recruitment initiatives. Last year, 51 leading companies participated in numerous sectors, from consulting to the high-tech industry, which met 200 students from the six Schools (students of undergraduate, Master's and PhD programs) carrying out over 950 one-to-one interviews.